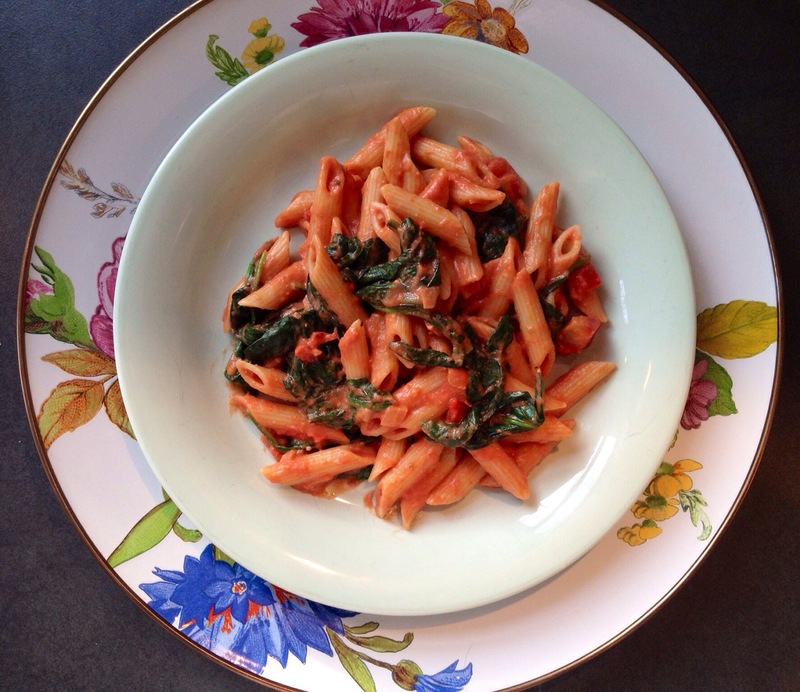 I adore simple recipes. And I love them even more, on days that my daughter doesn’t nap. BudgetBytes has been a lifesaver over the past few weeks. 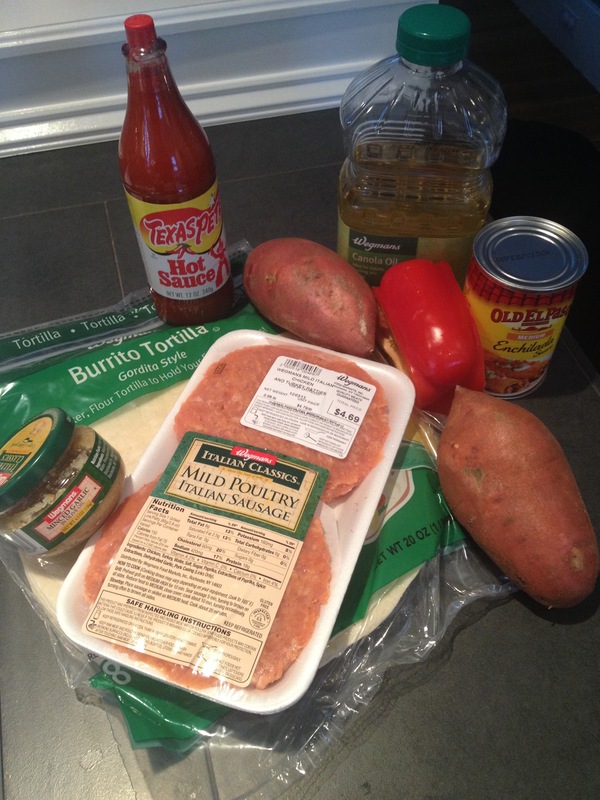 I adapted Budget Bytes Sweet Potato and Chorizo Enchiladas, which are amazingly delicious, to accommodate what I had on hand in my kitchen. 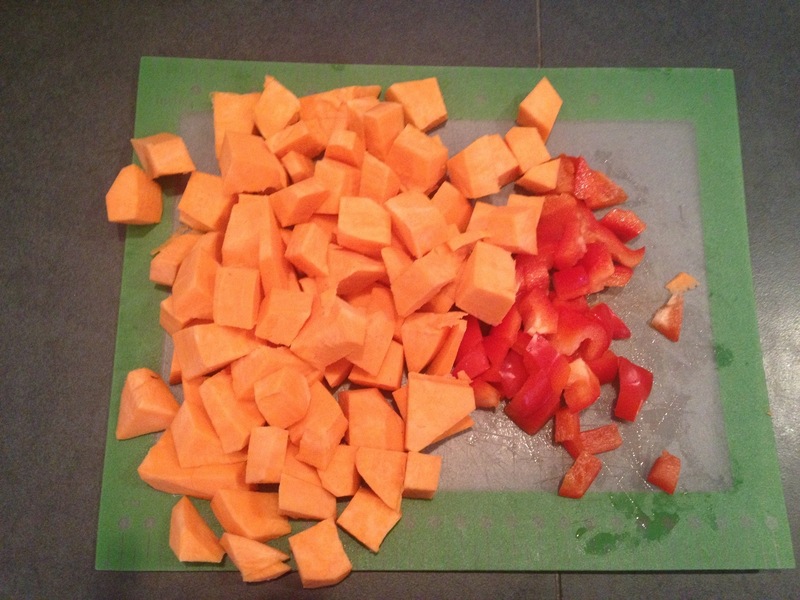 Peel the sweet potato and cut into a half inch cubes. Remove the stem and seeds from the pepper and also dice into half inch pieces. 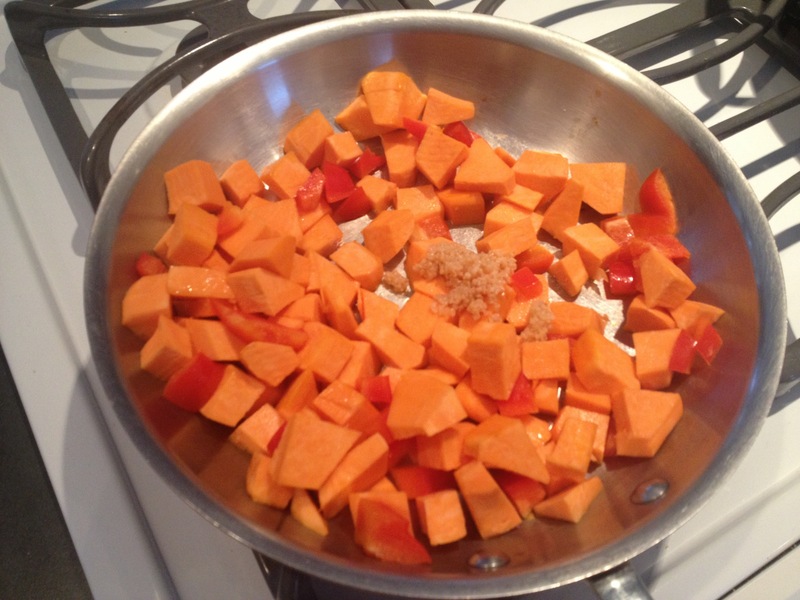 In a large skillet, cook the sweet potato, pepper and garlic in vegetable oil, over medium heat until they begin to soften (about 10 minutes). Add the meat to a separate skillet. 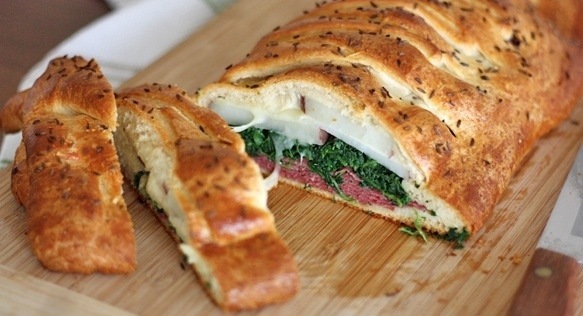 Break up the meat and cook until thoroughly browned (about 5 minutes). 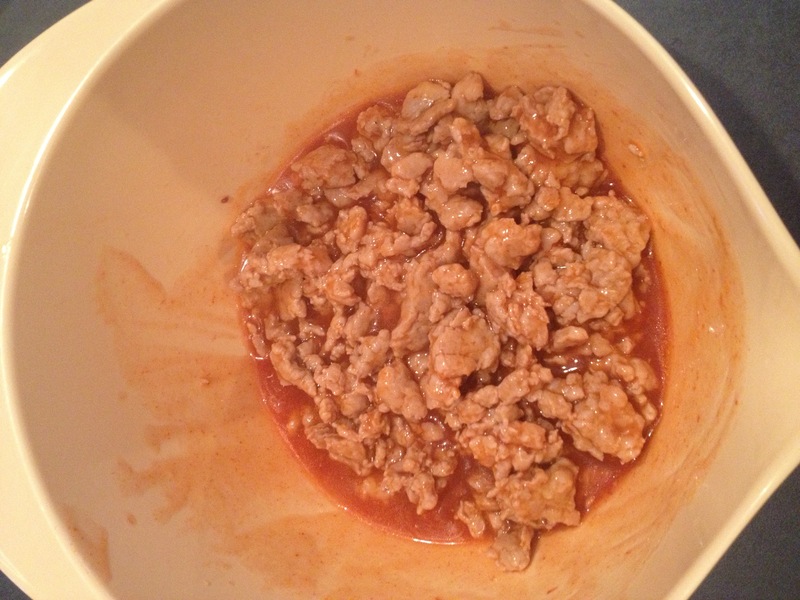 Add cooked meat, 1 can enchilada sauce and 2 Tbsp of hot sauce in a bowl- stir to combine. Spray a large casserole dish with non-stick spray. 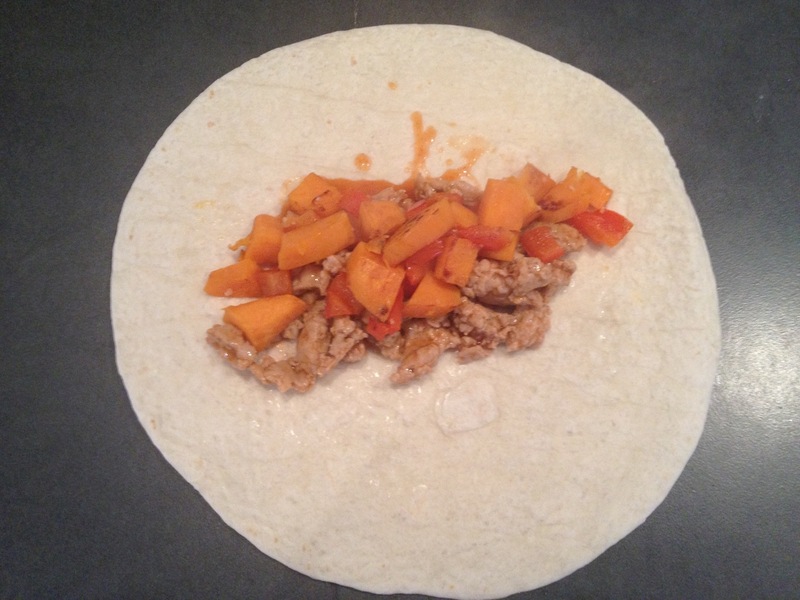 Scoop the desired amount of the sausage and sweet potato filling into each tortilla. I wanted larger enchiladas, so I added larger scoops. Fold in the ends and then roll the tortilla up around the filling. 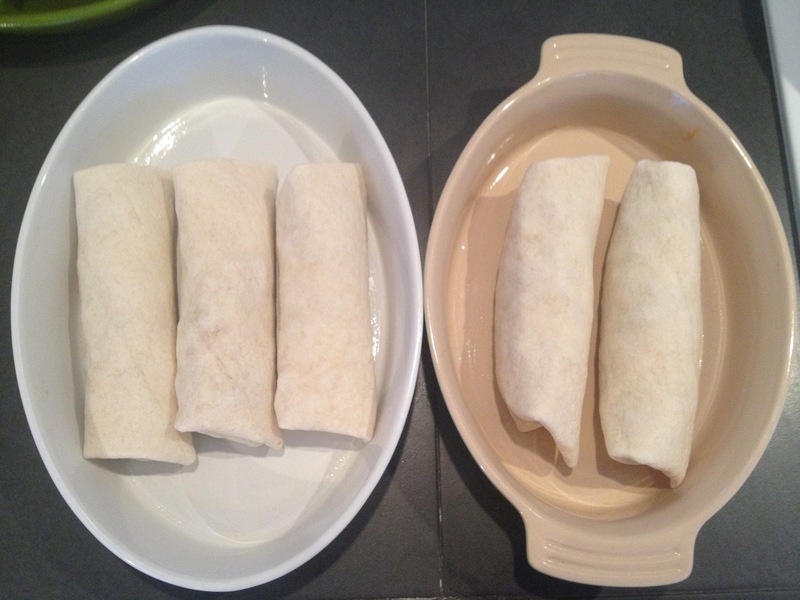 Place the filled and rolled tortillas in the baking dish. They should fill the dish and fit tightly against each other to prevent unrolling. 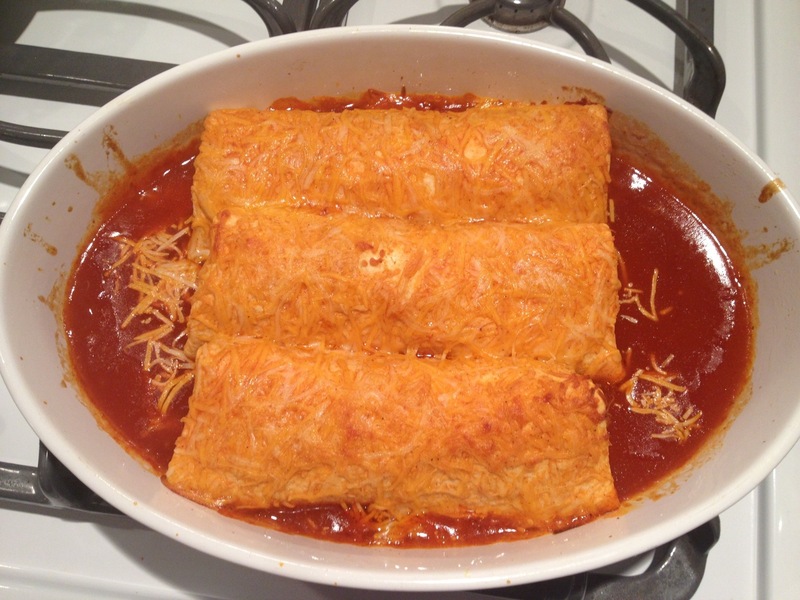 Pour can of enchilada sauce evenly over enchiladas. 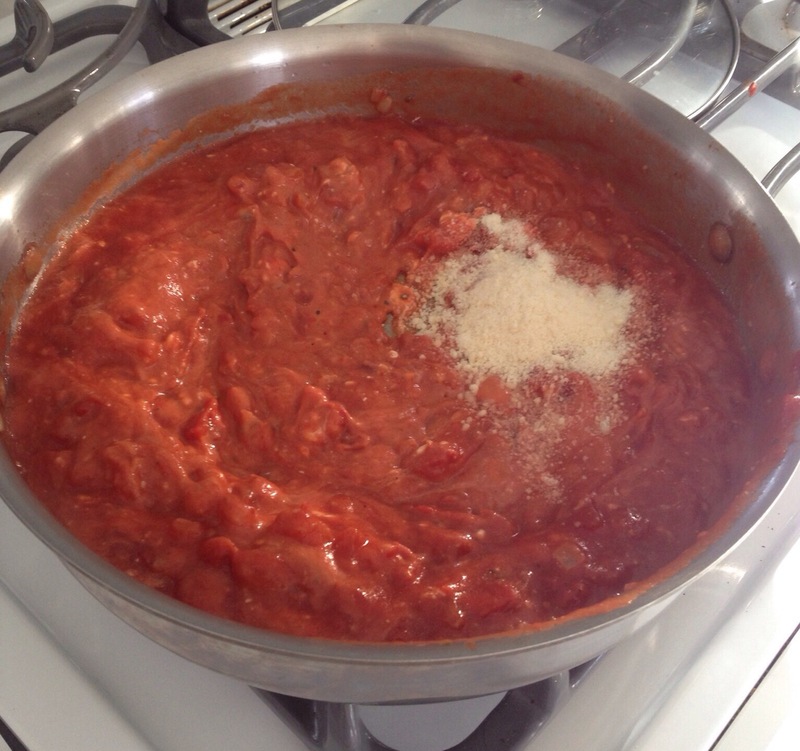 Sprinkle the shredded cheese over top and place it in a preheated 375 degree oven. 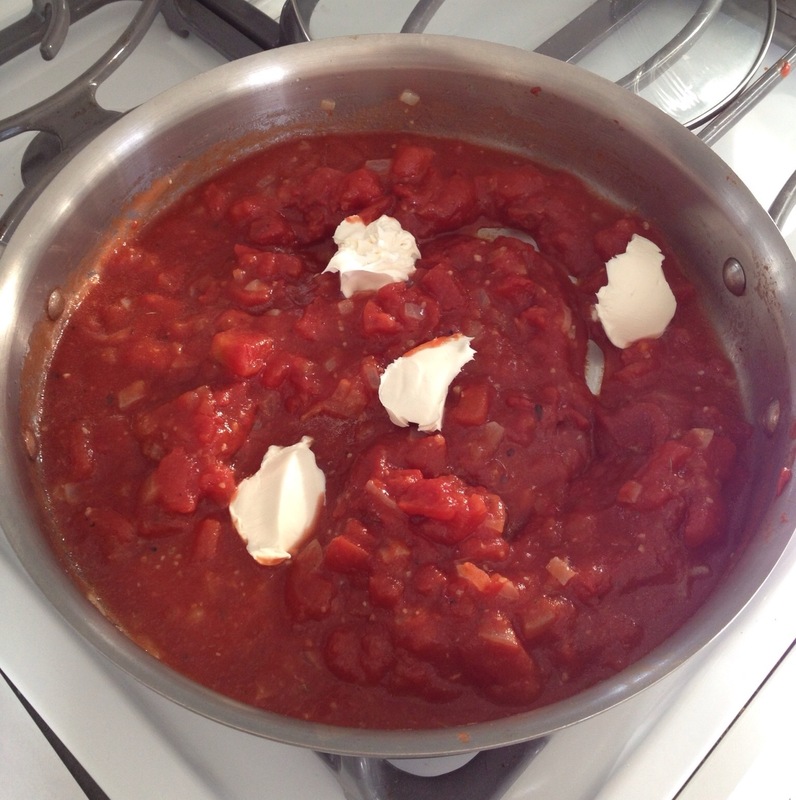 Bake until the sauce begins to bubble around the edges (about 20 minutes). 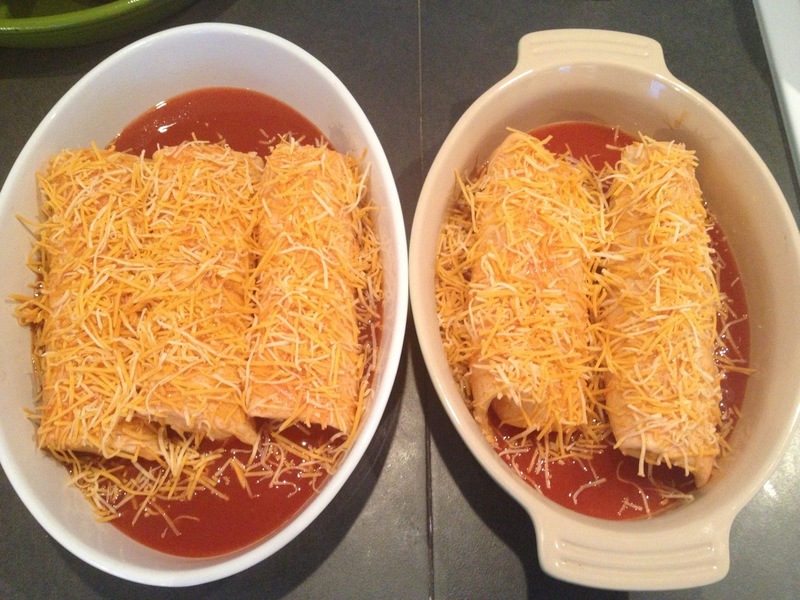 Serve plain or with sour cream. Super Yummy!!! 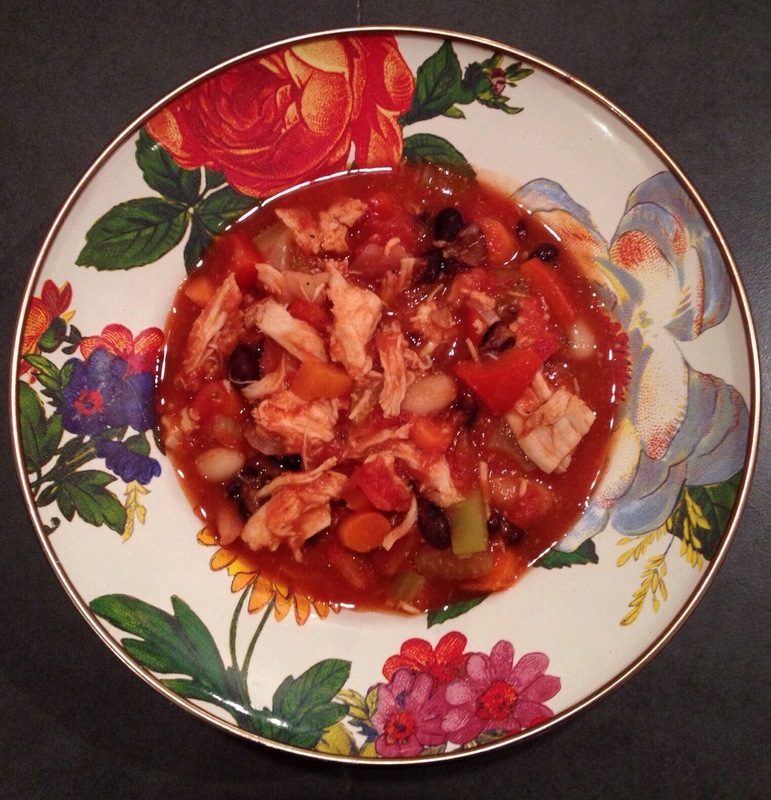 The picture of this Chicken Chili on Wicked Yummy was enough to make me stop at the grocery for the ingredients that I needed and make, what I hoped to be, a yummy dinner for my family. 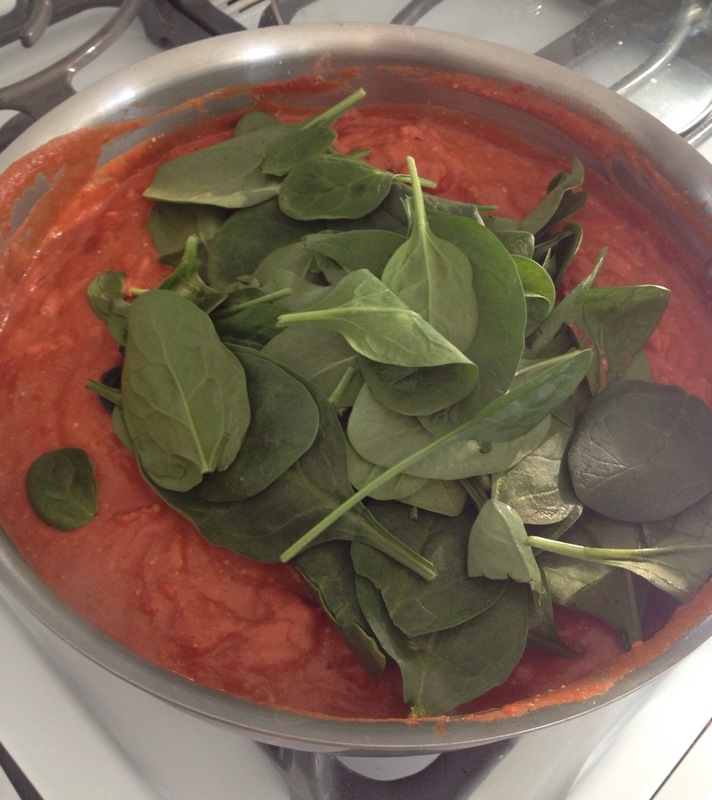 My husband loves HOT, so I was pretty sure that this recipe, with its cup of Franks Red Hot, would be a hit! The recipe calls for an optional topping of crumble blue cheese, since I didn’t have any other recipes for the week that needed the crumble blue and the serving size that is offered for sale being quite large, I skipped buying the cheese and put out sour cream as an optional topping. 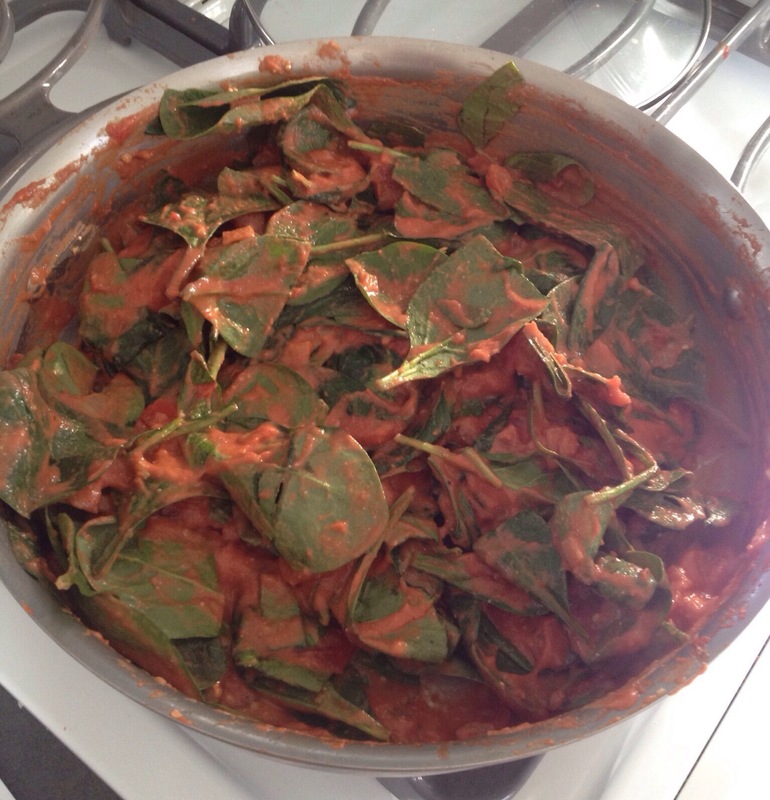 The sour cream was a delicious substitute! 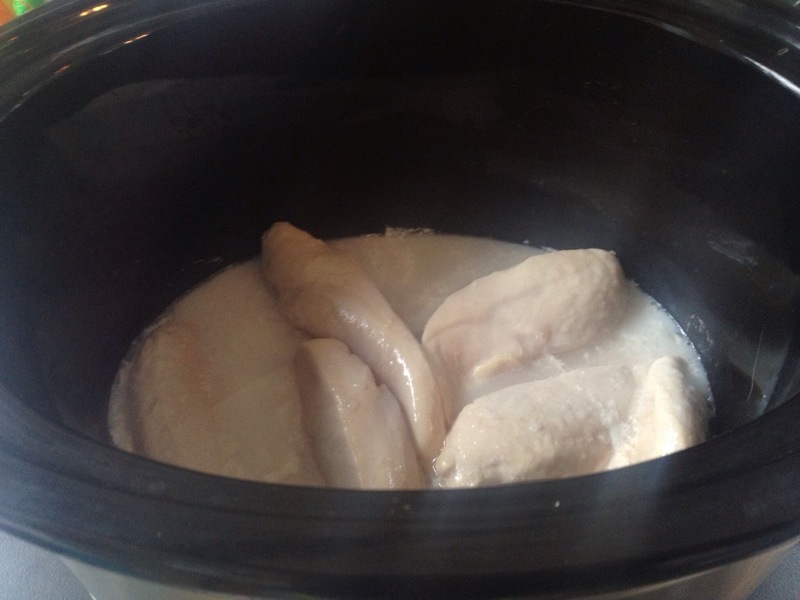 Boil chicken on stove top or cook in a small amount of water in a crock pot on high. My crock pot is finicky with its heat and the amount of time that it takes to cook things. This being said, I can’t give an exact crockpot temp or cooking time. My chicken cooked on high in the crockpot for one hour. When chicken is done cooking, shred using two forks. Heat on high the canola oil in a large pot. 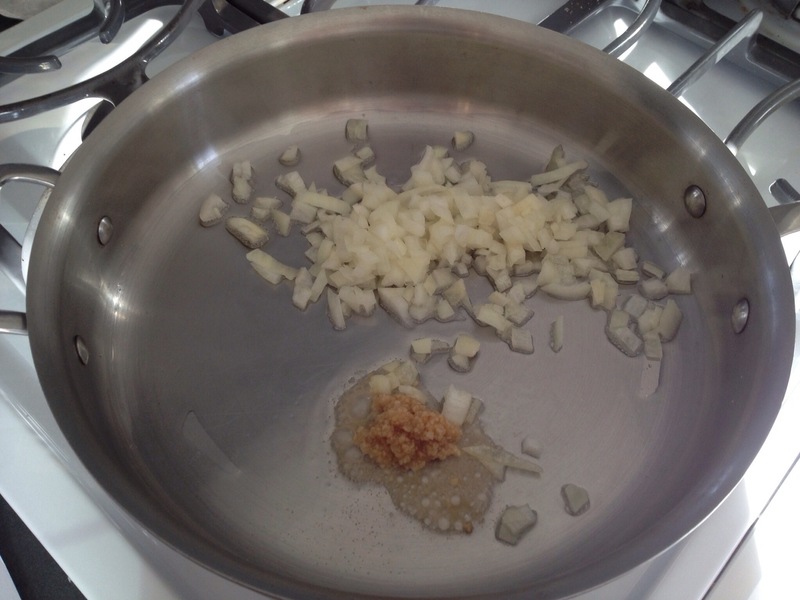 Once hot, add garlic and onion. Cook stirring occasionally until tender- about 3 minutes. 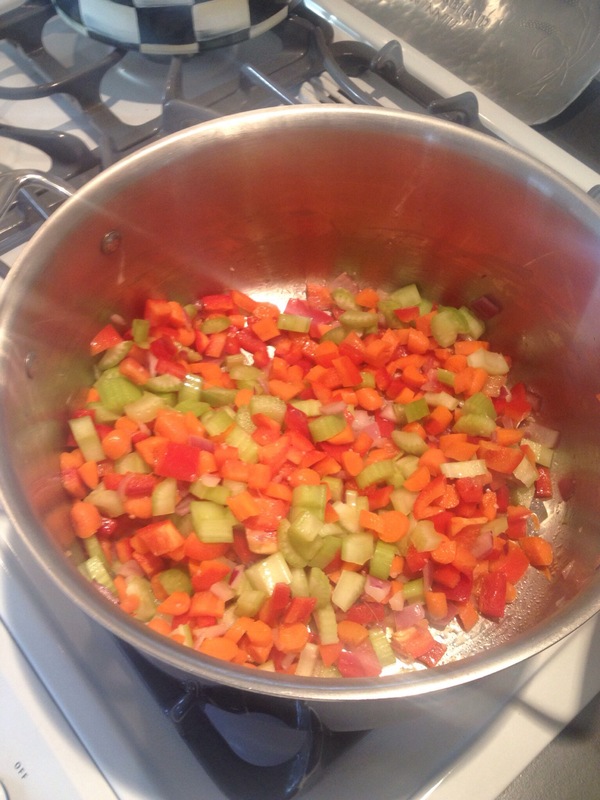 Add to the pot the peppers, carrots, and celery. Stir and cook for about 5 minutes. 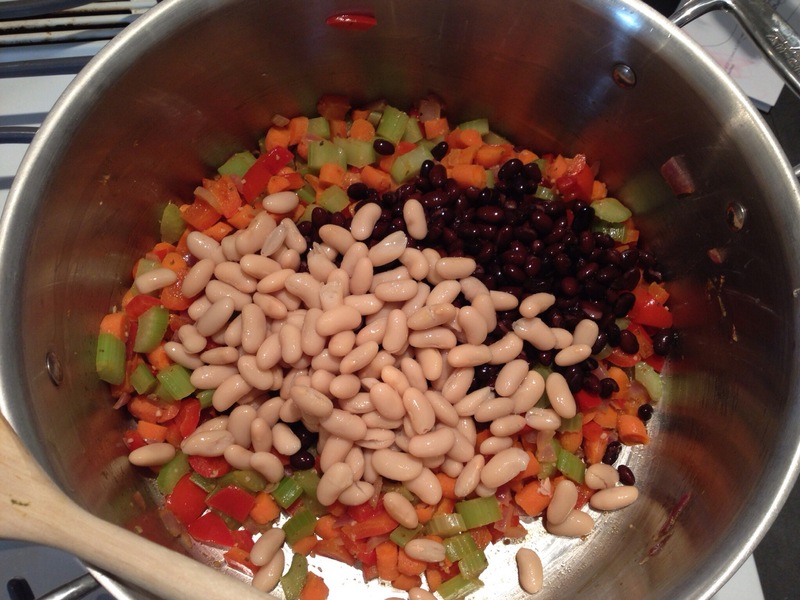 Add in paprika, cumin, oregano, drained and rinsed black bean along with drained and rinsed cannelloni beans. Stir and cook for about 5 minutes. 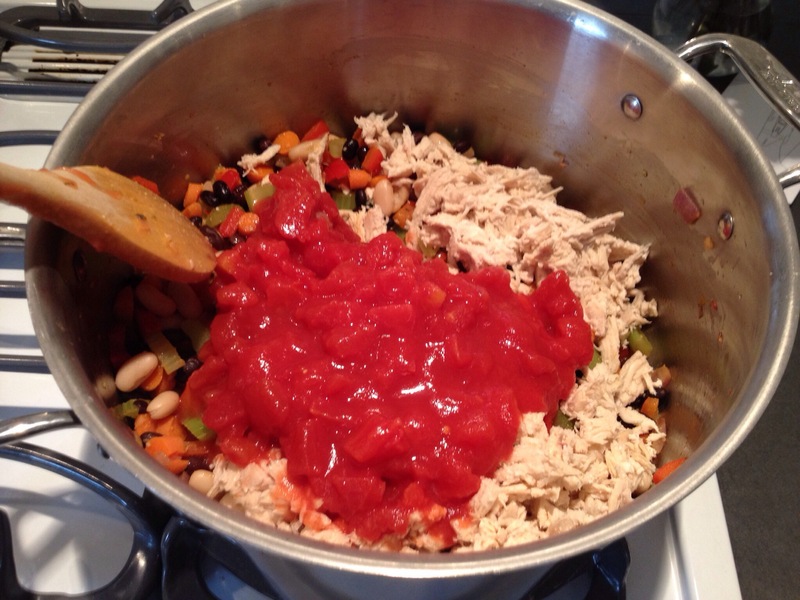 Add in shredded chicken, diced and crushed tomatoes, hot sauce and chicken broth. Stir to combine. 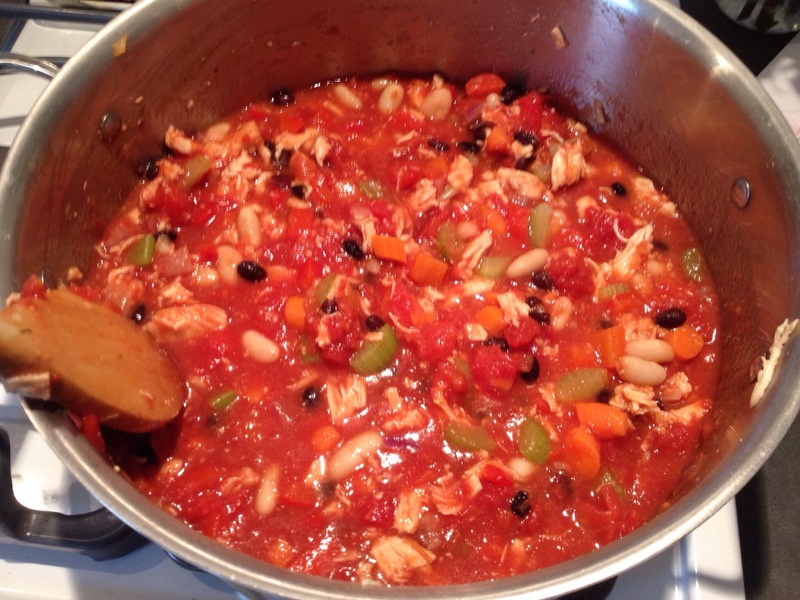 Simmer chili until veggies are at desired tenderness. Add salt and pepper to taste. 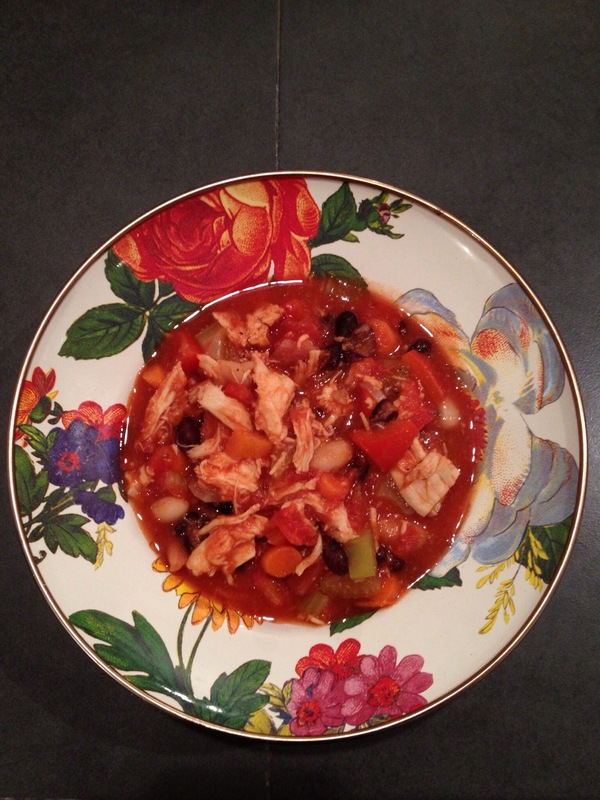 The chili was a hit with the hubby and I, but a bit too spicy for the kiddo. 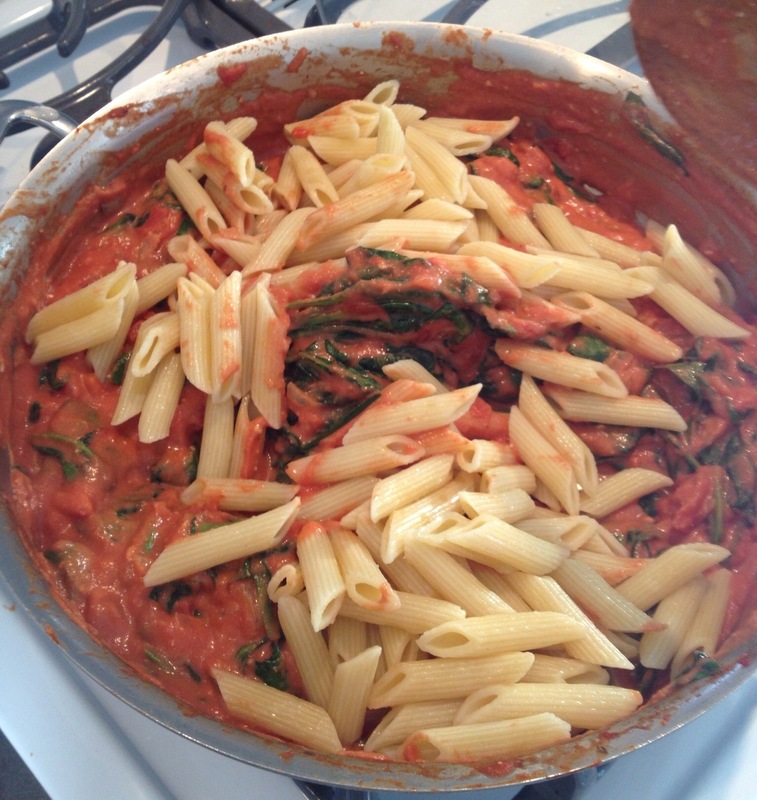 Thanks Wicked Yummy for a delicious recipe! I randomly buy mushrooms to incorporate into dinner recipes. I’m not a fan of the fungus, but my husband is. I purchased a package of sliced baby bella mushrooms at the grocery the other day, with no set plan in mind on how I was going to use them. I had half a bunch of asparagus that were on their last day of holding on to whatever life was left in them, a small yellow onion that needed to be used, along with an orange pepper (pepper was an after thought). 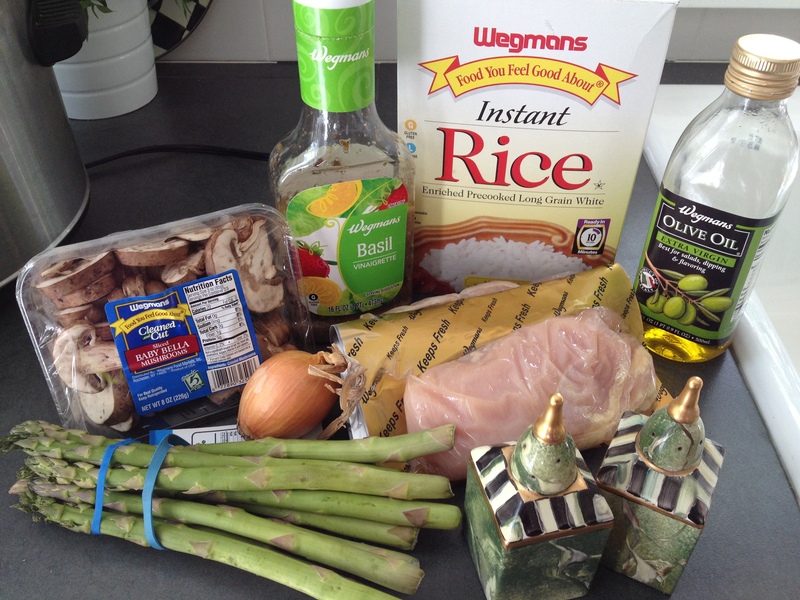 I figured I would cook some chicken in the crock pot, while Reagan and I went to the park and then saute the onion, mushroom and orange pepper, bake the asparagus and cook the rice when we got home. Sounds good, right? 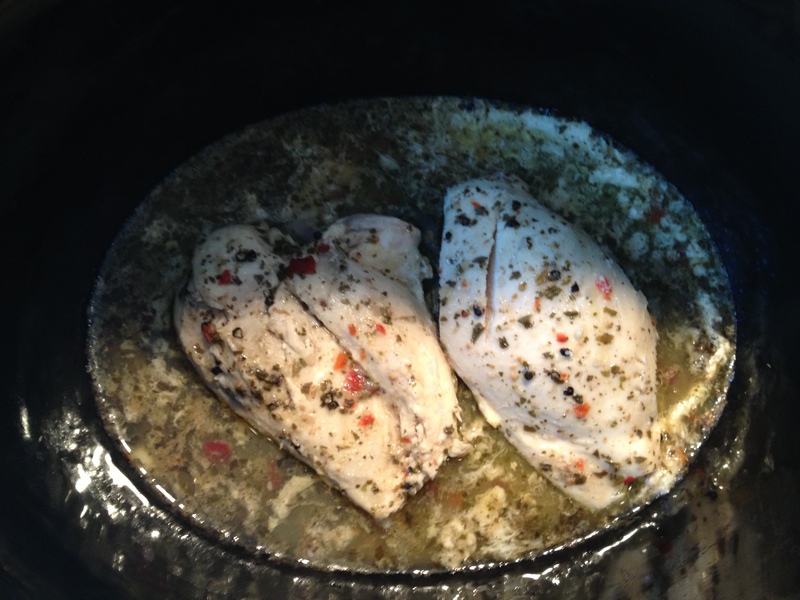 Something is quirky with my crock pot…Reagan and I were gone for less than an hour and when we got home, the chicken, which was cooking on low, was over cooked. So on to another plan. 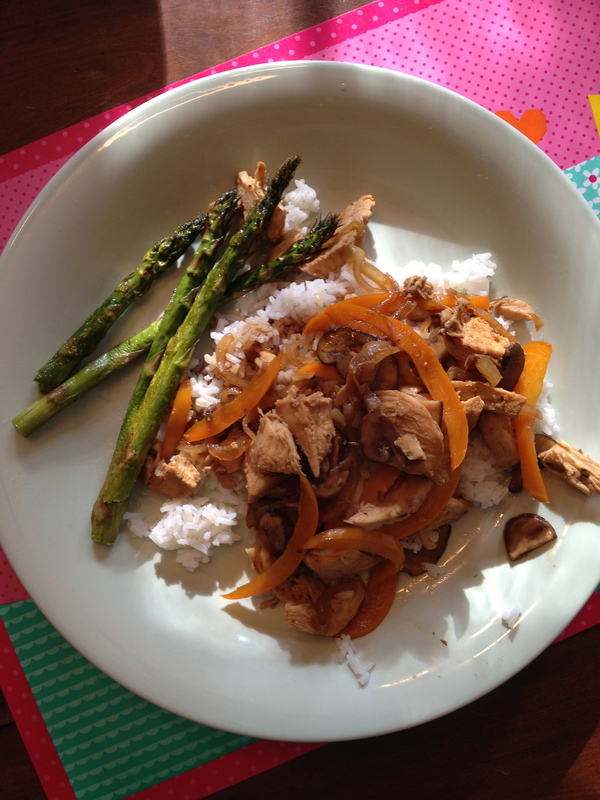 I chopped the chicken into small pieces and put together a stirfryish dish using some soy sauce. I wasn’t convinced that the basil dressing that I cooked the chicken in would be the best match with the soy sauce, but I gave it a try anyway. Overall a quick and easy meal…that Reagan wouldn’t touch (NOT A SURPRISE), but that Ryan and I enjoyed. 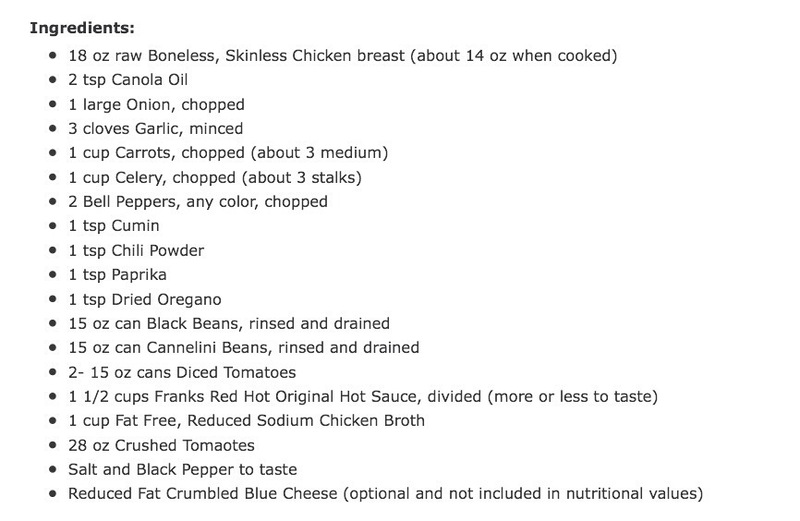 The amount of ingredients included below were enough to feed Ryan and I with no leftovers. The pictures could have been better, but we were flying by the seat of our pants. 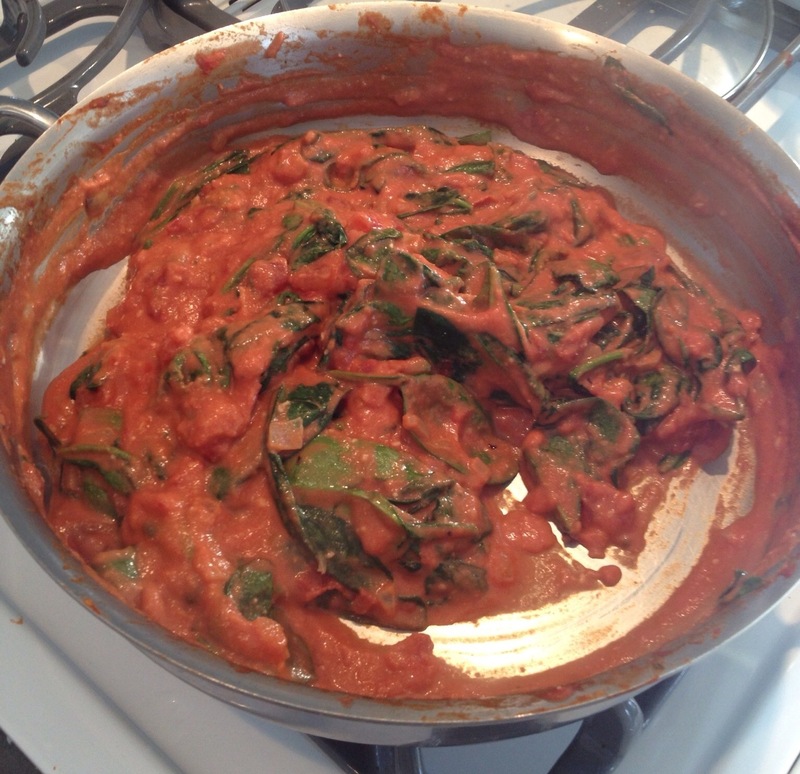 Not everything that was incorporated in the dish is included in the pictures. Cover bottom of crock pot with dressing. Add in chicken, top with dressing and cover. Cook time depends on your crockpot. My chicken was over cooked within an hour. Begin to prepare your asparagus by turning your oven to 375 degrees. 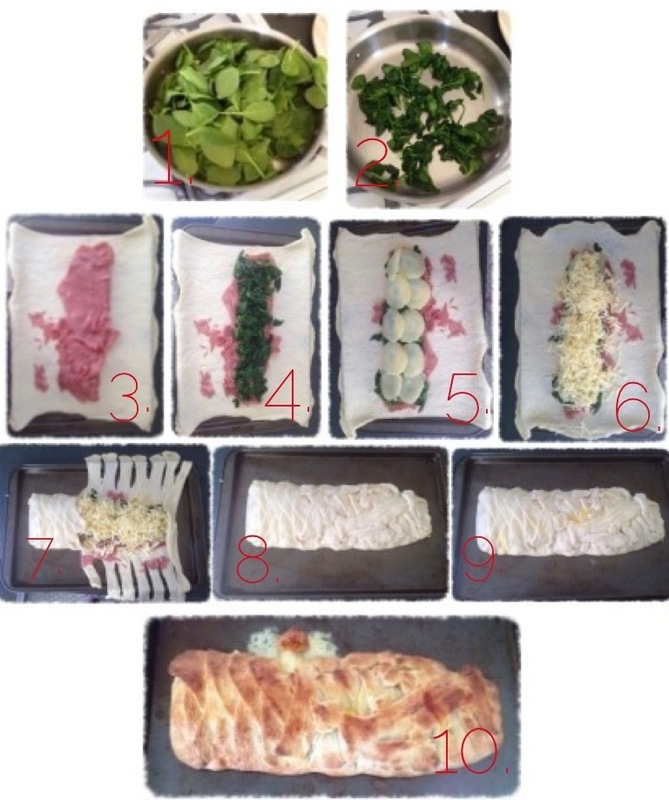 Snap the ends off of the asparagus and place on a baking sheet. Lightly cover asparagus with olive oil (roll around so completely covered) and sprinkle with salt. The asparagus will bake in the oven for 10 minutes. I don’t like my asparagus crispy, if you do, I would suggest additional cooking time. 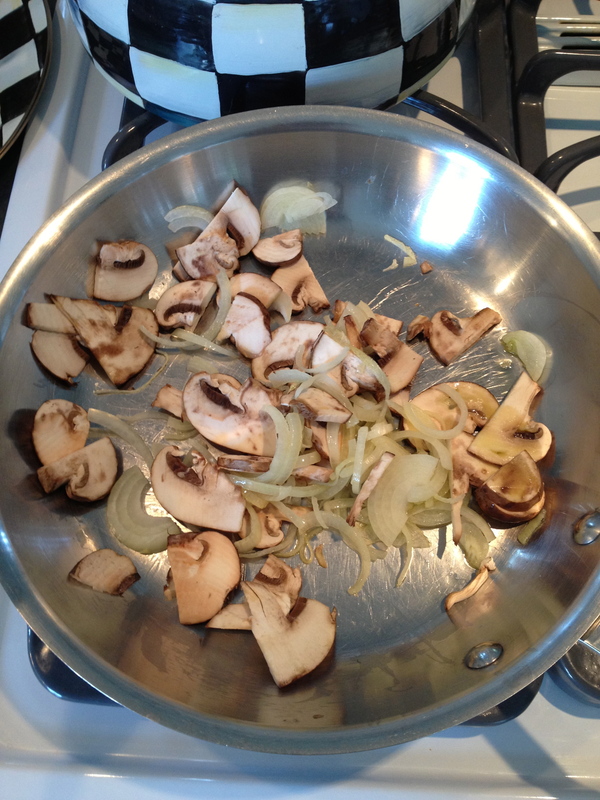 Cut mushrooms lengthwise and then in half. 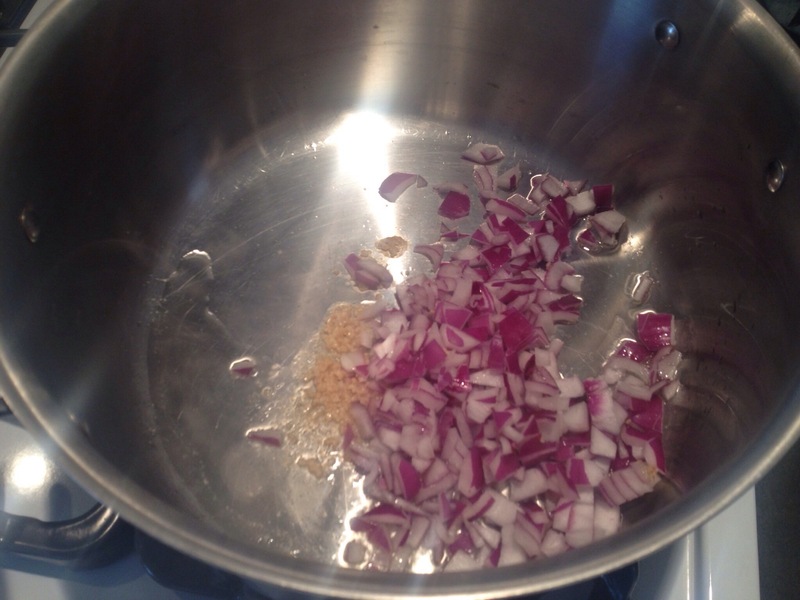 Chop onion and thinly slice pepper. The pepper was an afterthought, so it isn’t included until the final picture. Heat olive oil in pan until hot. 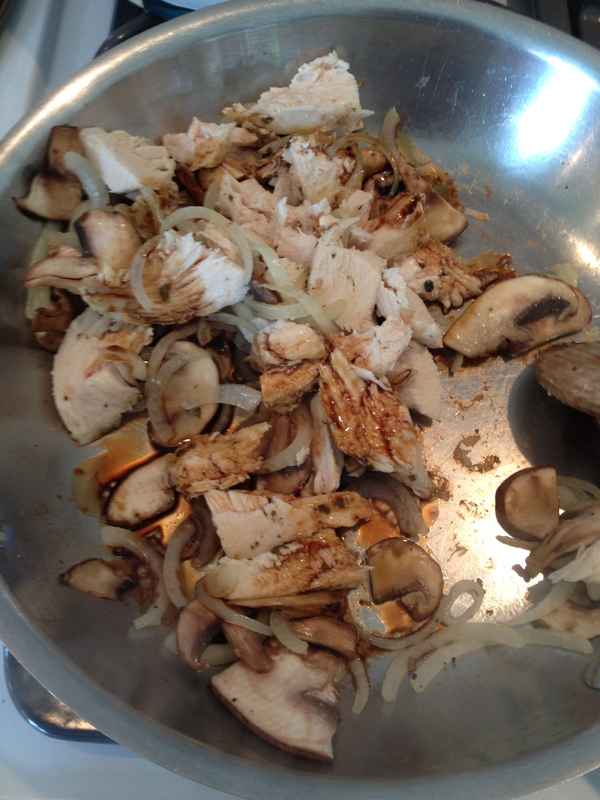 Add in mushrooms, onion and pepper. 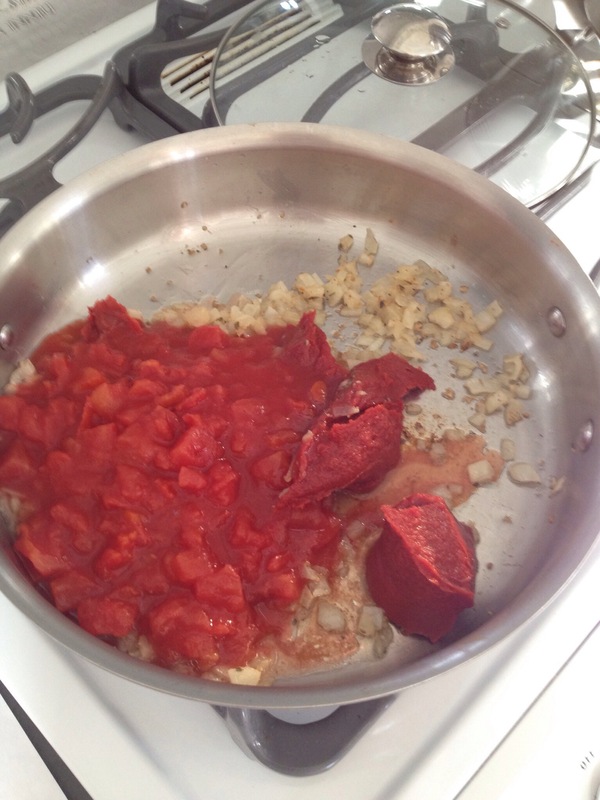 Cook, while continuously stirring for approximately 10 minutes or until desired tenderness is reached. At this point, I would begin the Instant Rice by following the directions on the box. Cut chicken into bite sized pieces and add into pan. 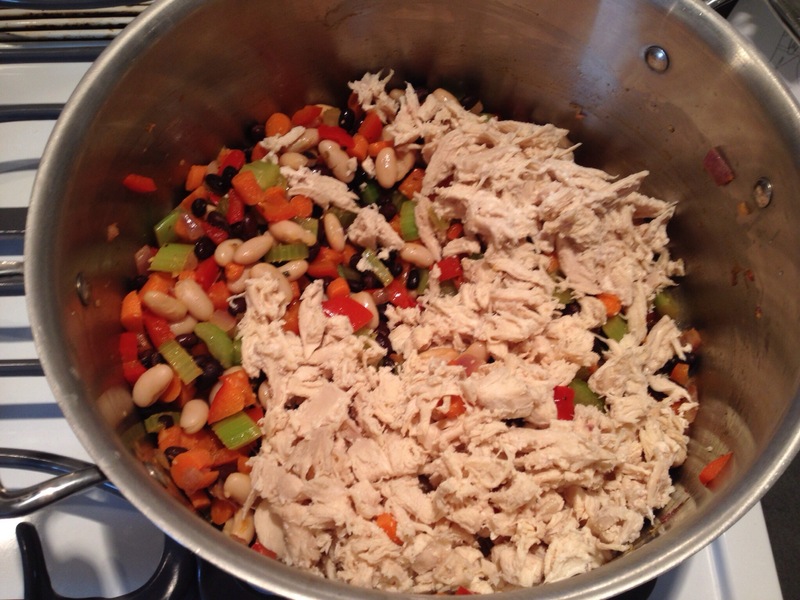 Add 1/3 cup, or more, of soy sauce to your chicken and veggie mixture. I just continually added more and more soy sauce until I had the desired amount. 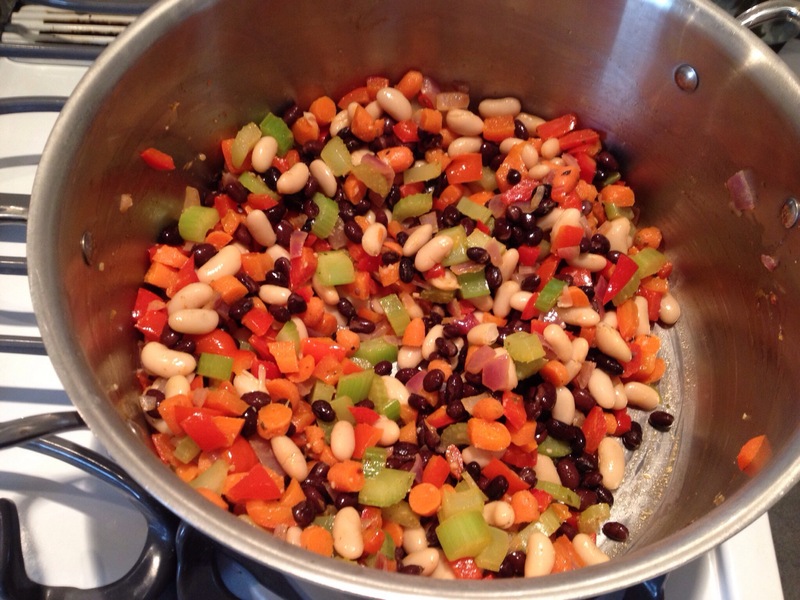 Add pepper and cook for an additional 5 minutes while occasionally stirring. Place a large spoonful of rice on a plate and top with chicken mixture. Serve with a side of asparagus.